Below is a list of some best cycle under 10000 rupees that will ease your life! Each one of us has fallen in love with cycling when we were kids. However, with time, you had to let go cycling and make way for responsibilities and stress. While this lifestyle certainly brings you the currency, your health silently takes a toll. This is when you realize that you need to exercise to get healthy and what better way than getting a bicycle for an affordable price to kick start cycling? That’s when the hunt begins, we start looking up for the best cycle under 10000 rupees on the internet. We ask around people, we put up a post on Quora, we try getting in touch with those who are already into cycling. Basically, your hunt to get the best cycle under 10000 rupees will only end once you get the right one. But little do you realize that you only complicated the process of reaching to the best cycle under 10000. The numerous opinions, the hundreds of comments got you confused and the process of buying a bicycle only got complicated. Geared or non-geared? Shimano Altus or Shimano Acera? Suspension or no suspension and the list goes on. In order to ease your life, we decided to list down some best cycle under 10000 rupees that will help you narrow down your search to some of the best in the market. If you are looking for a bicycle that is well suited for urban commuting, the Btwin my bike is for you. The single speed bicycle comes with frames and wheels that are well designed for the pathetic Indian roads. A wide bicycle seat to support your rear, raised handlebar for a better posture makes the B’twin my bike the best bicycle in India under 5000. Looking to squeeze in a 30 to one-hour workout on a bicycle? 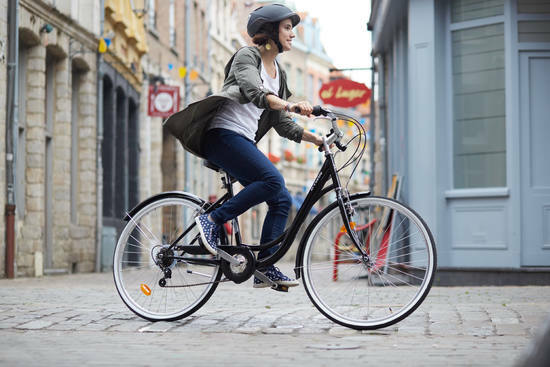 Look no further the B’twin riverside is the most affordable Hybrid bike with a straight body posture. With this bike, you can ride with a straight posture on the highway and within the city. If you are on a low budget but wish to squeeze in a 30 to one-hour workout, opt for the best gear cycle under 10000. Do you’ll remember the ladybird? This is just one level up! The Elops 100 classic cycle is meant for short rides around town. Fancy riding a bicycle to college, work or shopping? This bicycle is comfortable and perfect for everyday usage. If you dislike the top bar while getting on and off the bike, this is the best cycle under 10000 rupees for women. After all, our list if never complete without a women’s bike! 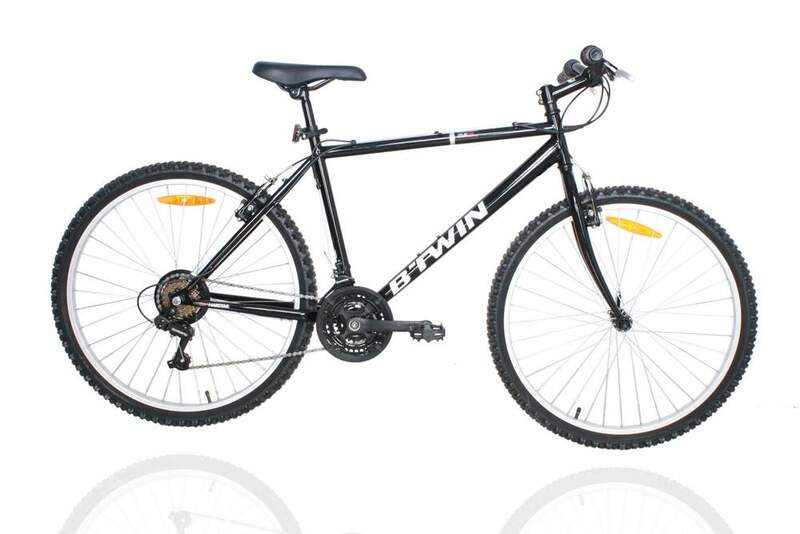 Another good bicycle made by Decathlon is the Btwin Riverside 100. This bike too is ideal for bike rides of 30 minutes to 1 hour in parks and along road-worthy trails. The Riverside 100 is versatile enough to take you on weekend rides as well. According to us, the Btwin Rockrider 300 definitely surpasses the best cycle under 10000 for adults. 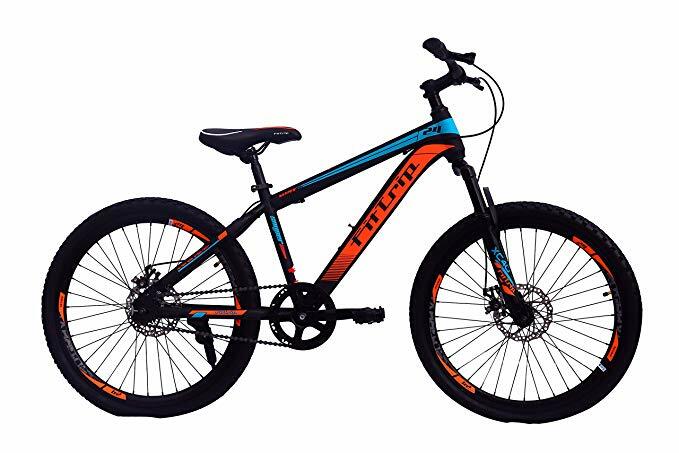 The bicycle comes with sturdy and versatile wheels and frames that can take the hitting from rough and broken Indian roads thus, offering a smooth rolling over terrains with ease. 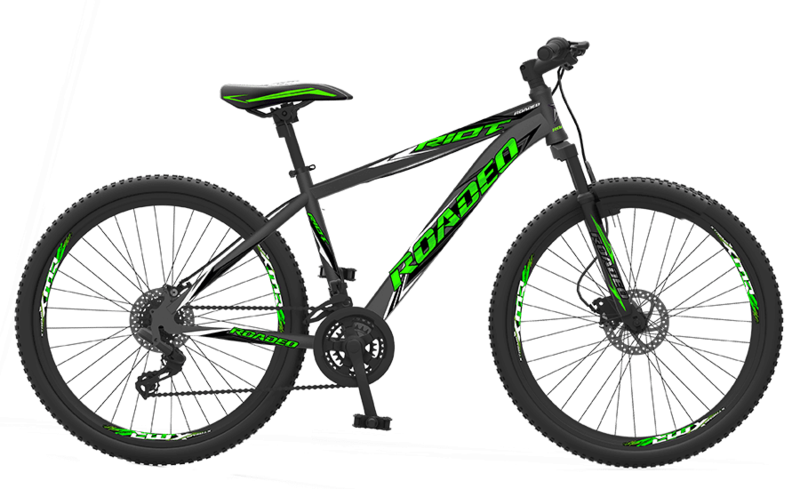 On a tight budget but still looking for a bicycle that’s an all-rounder, the Rockrider 300 is just for you! 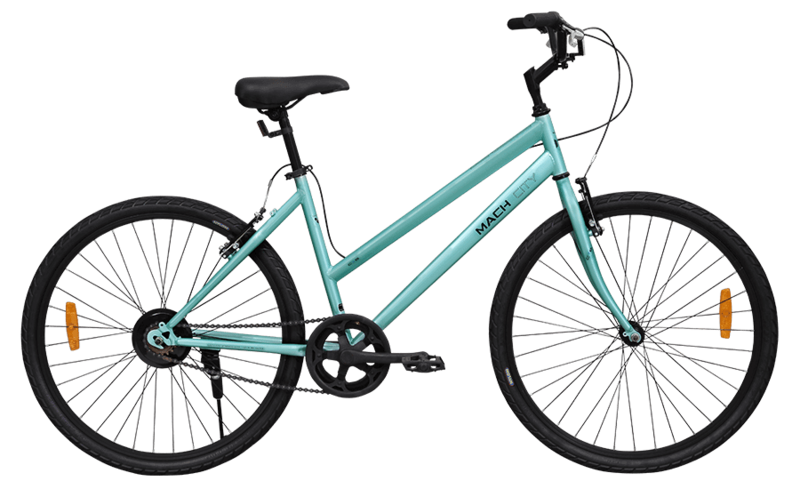 Looking to rediscover your city, the Mach City iBike is the quintessential city bike! The lightweight steel frame, durable nylon tyres and low maintenance cost is what makes it the best cycle under 10000 rupees. Not only that, the bike also comes with a quick release system on the front wheel that makes it easy to attach and remove it. You can also take a look at the iBike for women which are placed at the same price. The Kross bicycle is a mountain bike that comes with V-brakes and comes with a warranty on the frame for a year. The bike offers a comfortable saddle and riding position which makes it ideal for city commute and leisure rides. Low budget but still wish to own a bicycle with gears? Worry not, the Mach city iBike 7 speed has got you covered. The lightweight steel frame, a quick release front wheel, durable nylon tyres make it quite similar to the iBike. However, this bike is also equipped with a 7-speed Shimano Tourney gear system with Revo Shifters for quick shifting between flat roads and climbs. So, hop on and go explore your city on this gear cycle which is at a price below 10000! The best gear cycle under 10000 that is stylish, comfortable and rolls smoothly is the Hercules rodeo. 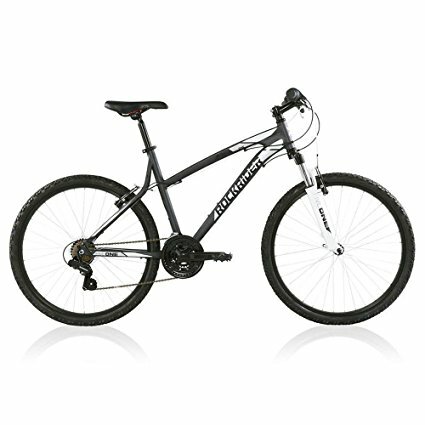 The Mech formed Hardtail steel frame and front suspension ensures superior ride quality. The Roadeo is available in different variations that are listed below and are available at different prices. The A50 is a super stylish hardtail MTB bike that comes in large and medium frame size. The bike also comes with Front Disc, Rear V-Brake and gears that make riding comfortable and fun. The riot is another beauty from Hercules. The bike is available in V brake as well as disc brake versions. It is equipped with 21-speed easy fire thumb shifters and Shimano gears. The bike is available in a medium and large frame that is comfortable to ride. Unlike other bicycles, this Riot is equipped with quick release for both the wheels and the seat post. The Munich is another version of single speed bicycle by Mach city. However, the only difference we could spot from the iBike is that it comes in fancier colours. Besides the frame, seat post, bottom bracket and the tyres vary. The iBike Hard tail makes even the rough roads a smooth sail. The bike comes with a basic front suspension that absorbs shocks and bumps offering you a seamless ride. Here’s a list of bicycles between INR 15,000 to INR 30,000! 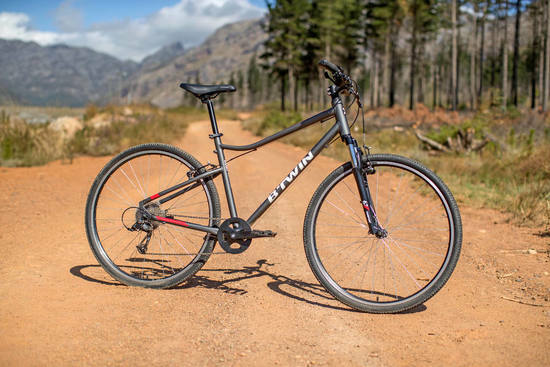 Looking for an affordable bicycle that comes with disc brakes, suspension and 27.5′ wheels? The FitTrip is what you should be looking at. However, this bike does not come with gears. 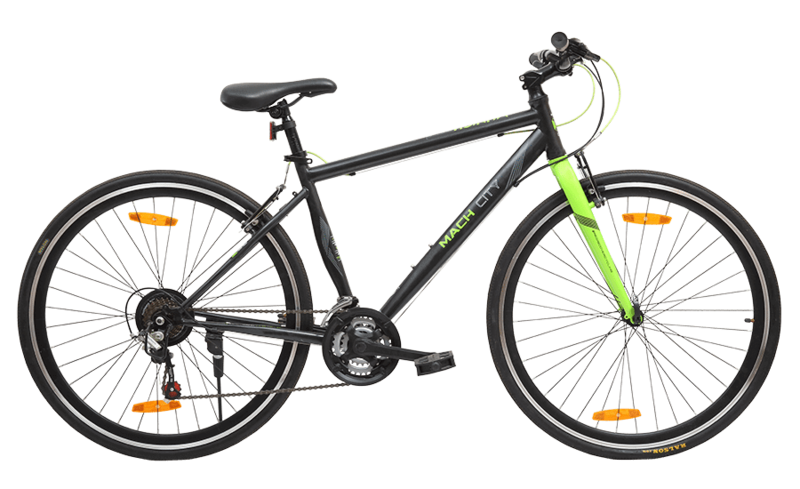 This 21-speed bike comes with features such as a lightweight steel frame, a quick release front wheel and durable nylon tyres. It is also equipped with a 21-speed Shimano Tourney gear system with Shimano EZ Fire Shifters for quick, breezy rides. The Kross Maximus 26t single speed disc is a simple and functional bicycle that is good for Indian road conditions too. The bicycle offers comfort and makes to our list of the best bicycles under 10000. 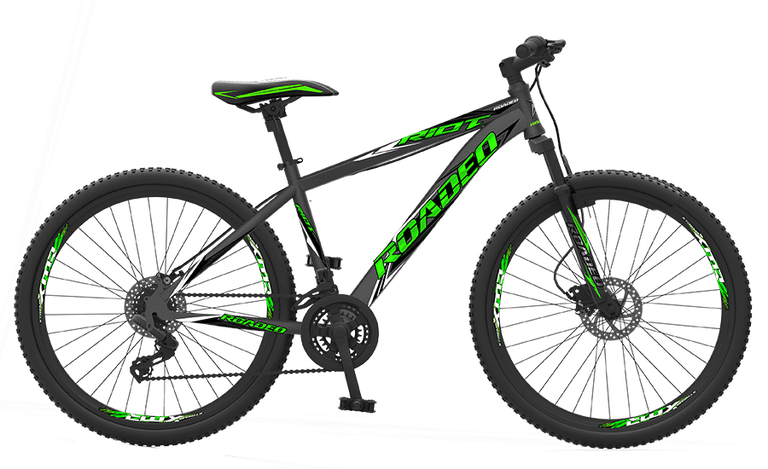 A cool hybrid bicycle that is perfect for the city commute, occasional mountain biking and weekend-long rides is the Rockrider 340. The international standards of the lightweight aluminium frame and Shimano Tourney 21 speed makes it one of the best cycles for adults. 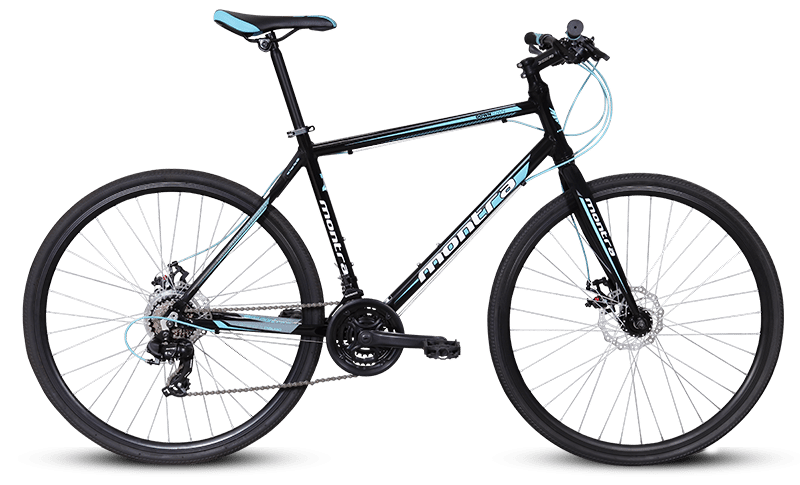 Looking to get a bicycle for fitness purpose and for daily commute? The Montra downtown fits the bill perfectly. In fact, the bike is even reliable for the weekend-long rides. It comes with disc brakes and still goes easy on your wallet. Don’t miss out on reading hybrid bicycles between INR 15,000 to INR 30,000! The Cosmic Eldorado 1.0L 26 – 21 Speed is an entry-level MTB that is manufactured by an Indian Brand. The bicycle is for those who are looking to ride on bumpy roads and tackle mild trails. A good thing about this bicycle is it comes with basic suspension and disc brakes. If you are looking for a unisex alloy bicycle frame the Unirox will serve the purpose. 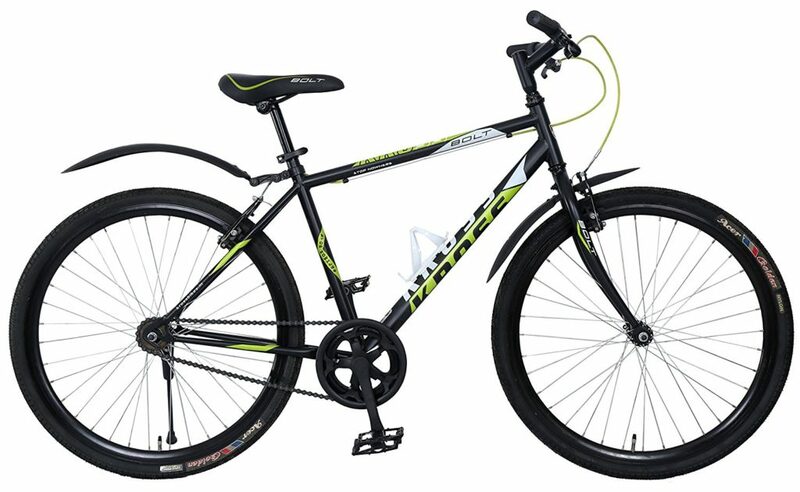 Costing around INR 15,000, the bicycle front suspension, disc brakes and 27.5 tyres. Think we missed out on some best cycle under 10000 rupees for adults, comment and let us know below!